This is a wonderful wheel to have. 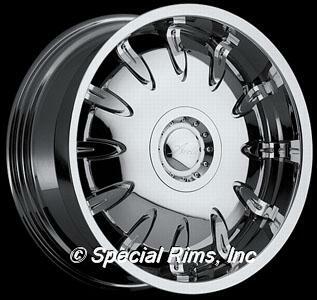 This is a full face wheel with a deep lip and rivets to add a little bit of spice to the wheel. When the sun hit this wheel you will get blinded by the beauty.